Bulgarian firemen are now preparing to fly to Haifa, Israel, where a massive wildfire has already claimed at least 40 lives. 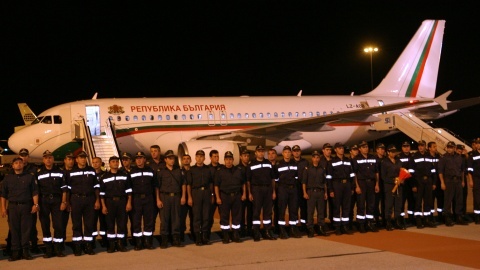 Some 90 Bulgarian firefighters will fly off to Israel tonight at the order of PM Boyko Borisov, announced the Ministry of Interior. Authorities confirmed that they hope the government plane will take off from Sofia around midnight and arrive around 2.30 am in Tel Aviv. The massive fire went out of control Thursday afternoon, claiming the lives of dozens and forcing the evacuation of many Israelis. Lives are still in danger as the forest fire continues to blaze.